Outlander is very close to our own time period. (It’s set in 1743, and the Golden Age of Piracy ended in about 1723.) The Jacobite cause near the center of the Outlander action was near and dear to the hearts of many pirates. But the most pervasive thing I see is a well-researched show that tells us a little more about what life was like for Golden-Age pirates. One of the first things I see is that everything is hand-made. Why? Because except there was no factory production of anything. Every shirt, every sock, every needle, shoe was made by hand by someone. Every item was different from every other item. This shows up in some strange ways. One is that clothing was much more valuable than it is today. Weaving, cutting, sewing and finishing clothes was all done by hand by skilled artisans, instead of whipped out by high-speed electric looms, laser-cutters, industrial sewing machines, and starvation-waged Chinese workers. Not only was clothing a major expense, but second-hand clothes were much more valuable as well. And third-hand clothing. And so on. Even the rich saved clothing that was out of style or worn, recycling it and re-working it into new garments. Or they handed them down to servants, who re-dyed and re-worked them into everyday clothes, or sold them for a substantial profit. So, when pirates stole clothing and wore it, they weren’t doing anything out of the ordinary. BUT, the corollary to this is that people could identify stolen clothing. Think about it. If one of your dress shirts was stolen, you’d have a hard time picking it out of a lineup. But 18th century people would have known immediately whose shirt was whose. During trials from the time, identification of stolen clothing often sent thieves to jail, the pillory or the gallows. Follow this one more step, and you’ll realize that there were no BRANDS. Today we depend on brands to decide what to buy. Some brands are affordable, some not. Some fit us well, others don’t. And if you want to convey status, you depend on the tag inside or the logo printed outside your clothing. In fact, the label is often the most important part of the item. Pistols, muskets, and even cannons had parts that were not interchangeable. Today, if you have a Beretta 9mm, you can take parts for it from any other Beretta 9mm in the world. During the 18th century, not only could you not necessarily use the parts from one pistol to repair another pistol, but there was no reliable brand of pistol (or musket or cannon) to buy. Individual makers had a local reputation, but once the weapon in question had left the region, it would not be recognized. Each weapon would be valued according to its individual quality and usefulness. And no two guns were ever quite the same. In some ways, this accounts for the hodge-podge look of a pirate ship and a pirate crew. When a new ship was being fitted out, the builders would buy all the cannons from the same foundry, and therefore all of them would look much the same. 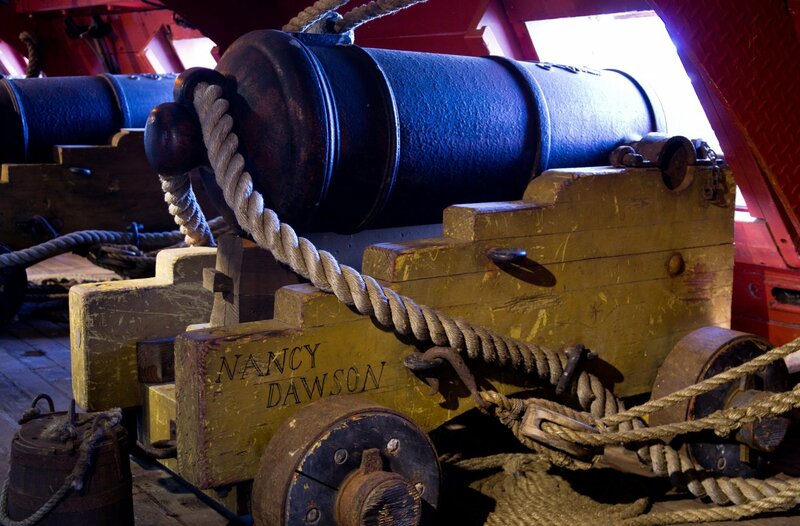 But a pirate crew amassed its weaponry from a number of sources – stealing a cannon here, a brace of pistols there… So each piece would look quite different. Think for a moment about what this means. Today we expect regularity in things. Every stitch in a garment is the same as every other. Every t-shirt in the pile is exactly the same. Windows come in standard sizes, and we see them in the houses around us without even noticing. We see identical cars, identical phones, identical chairs and tables and toys and even identical pieces of art. 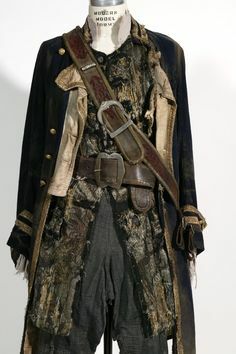 In the days of the pirates, each piece was unique. Is it important? Maybe, maybe not. But if you I for one like to think of things, people, eras, in context. And the individuality of things in the past is an important part of the pirate context.